Secaucus, NJ - Three decades after it first wowed kosher consumers with its debut show at the Javits Center, Kosherfest continues to draw crowds, with products as stereotypically Jewish as Streit’s matza just yards away from a Bubby’s Lotus-biscuit-topped crepe cake and Aufschnitt Meats’ dark chocolate chia beef jerky. The two day show began on Tuesday at the Meadowlands Exposition Center in Secaucus and continues today. 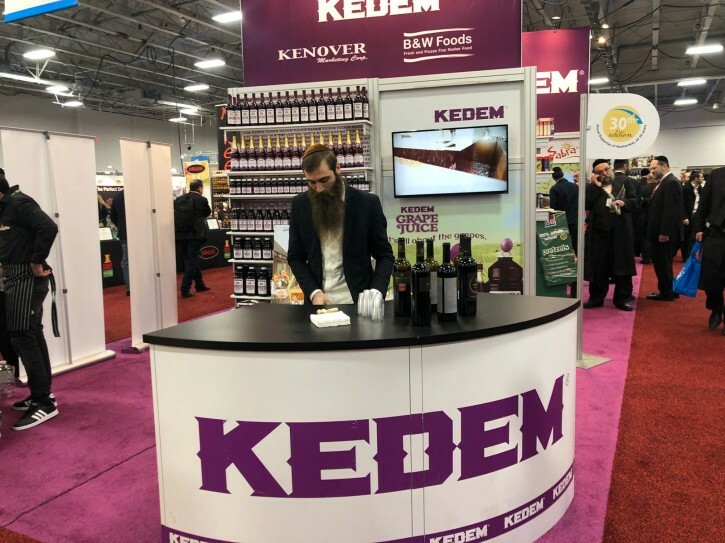 Kayco, which produces Kedem iconic grape juice line in addition to more than 3,000 products under over 100 different labels, has been part of Kosherfest since that initial show. 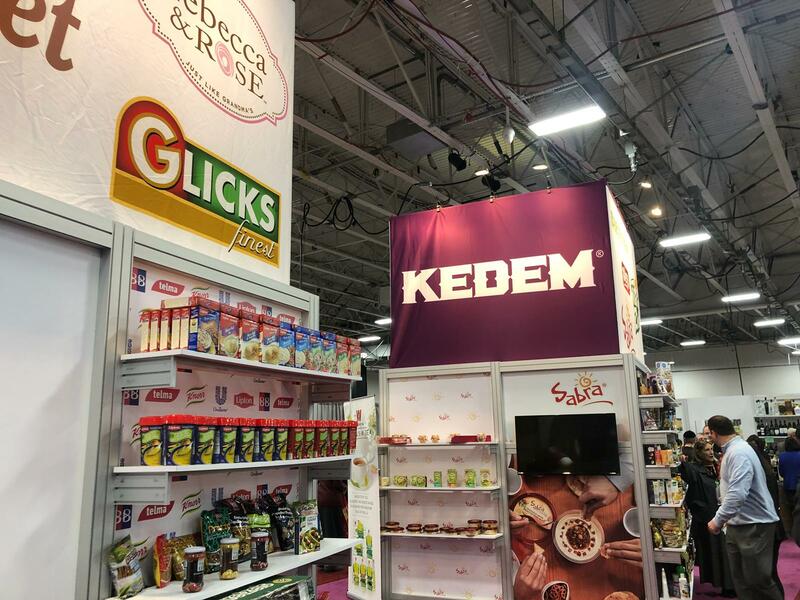 CEO Mordy Herzog said that he has enjoyed watching the kosher industry evolve over the years. 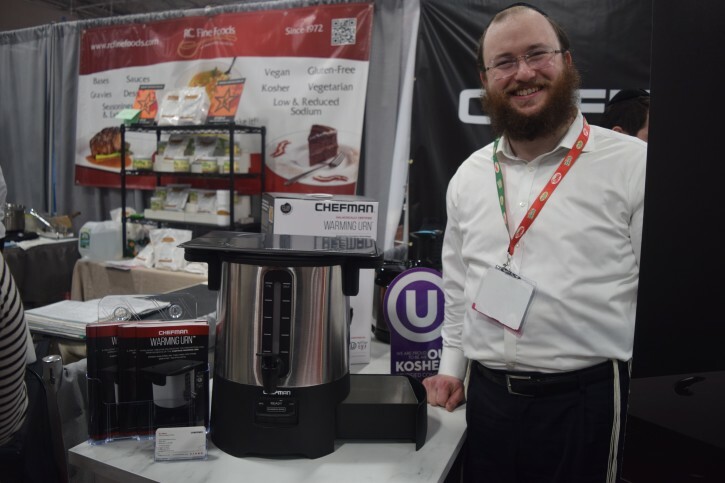 Possibly the most innovative item at the show was a product that wasn’t even edible: a Chefman hot water urn topped with a removable blech and housing a small warming drawer, providing two separate surfaces for heating food on Shabbos. Developed under the auspices of Rabbi Tzvi Ortner, founder of Halachic Tech USA and director of the Orthodox Union’s halacha and technology department, the urn is estimated to be in stores and on Amazon this spring. 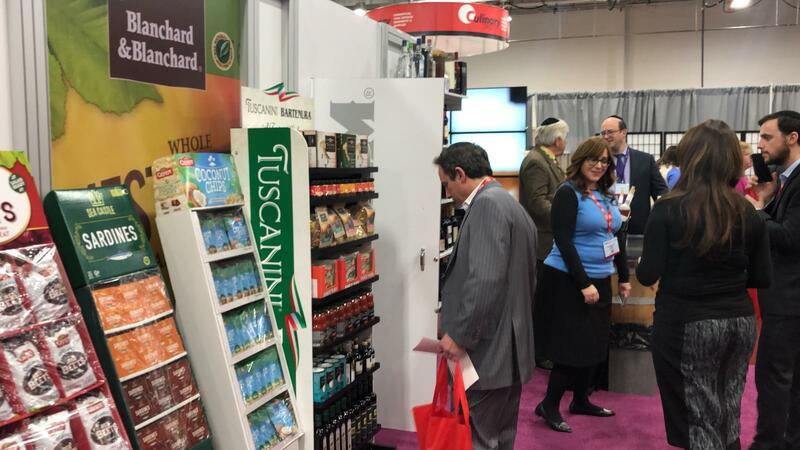 In addition to the more traditional tables, there were those who used schtick to draw attention to their product. 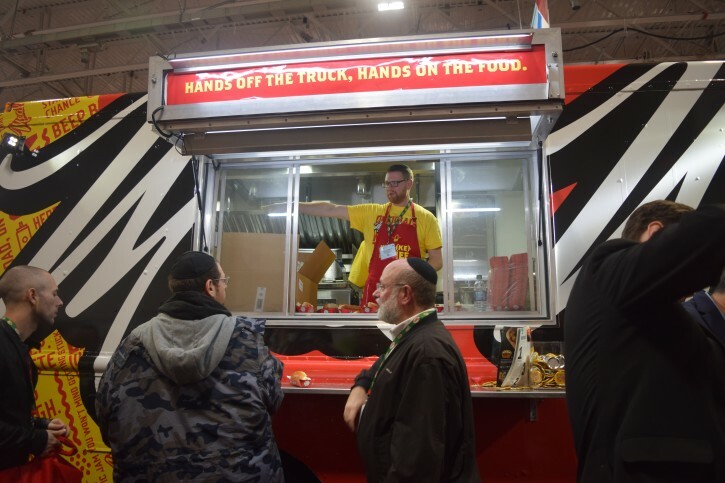 A Meal Mart food truck parked inside the convention hall was serving up fresh hot dogs under a window that read “hands off the truck, hands on the food.” The always popular Fidelity Investments invited contestants to catch dollar bills in a glass booth filled with a mix of real and fake currency swirling around on jets of air. And for those hoping for something a little decadent, Schneider’s Chocolatier had fruit, marshmallows and other goodies on hand to be dipped into cascading rivers of white, milk and dark chocolate flowing at three chocolate fountains. Ephraim Travis of Passaic was one of two former soldiers who came to the show. 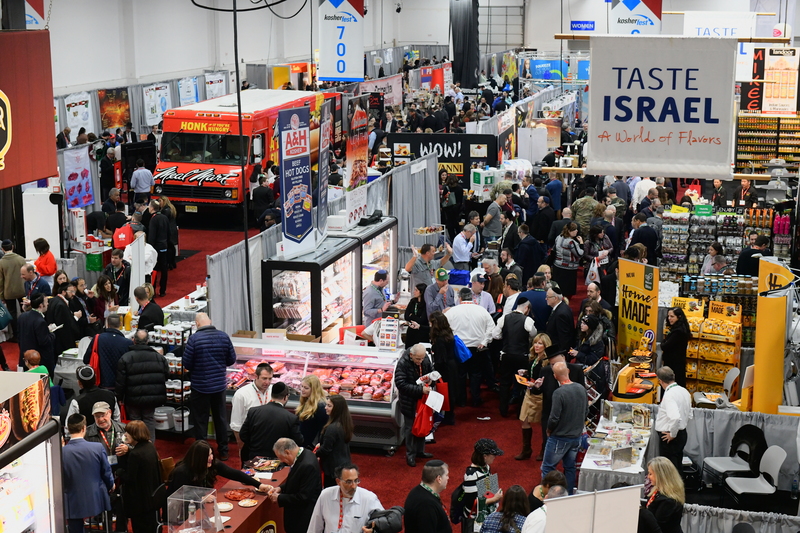 Having spent four and a half years in active service in South Carolina, North Carolina, Iraq and Georgia and over three years in the reserves, Travis said that he traveled to Kosherfest multiple times while he was still on active duty to express his gratitude to the many vendors who donated food to Kosher Troops which sends care packages to Jewish members of the military. 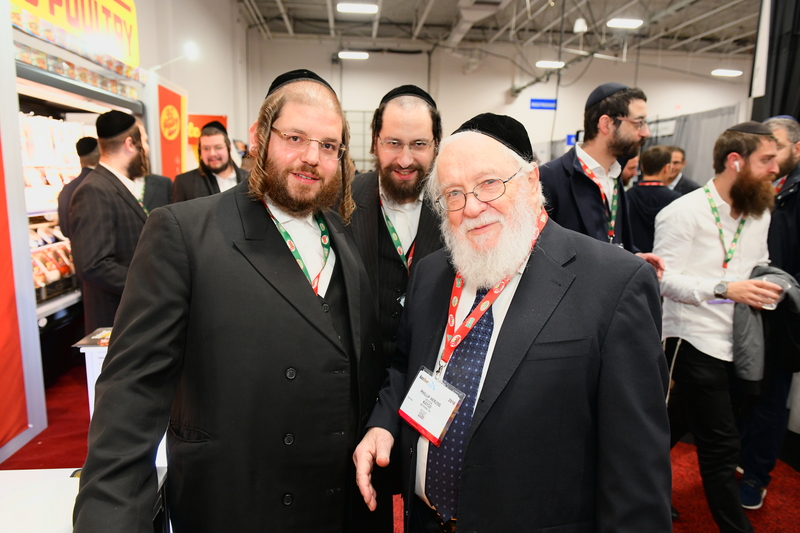 As a chaplain, Travis was grateful for the opportunity to be able for the needs of Jewish soldiers under his supervision. 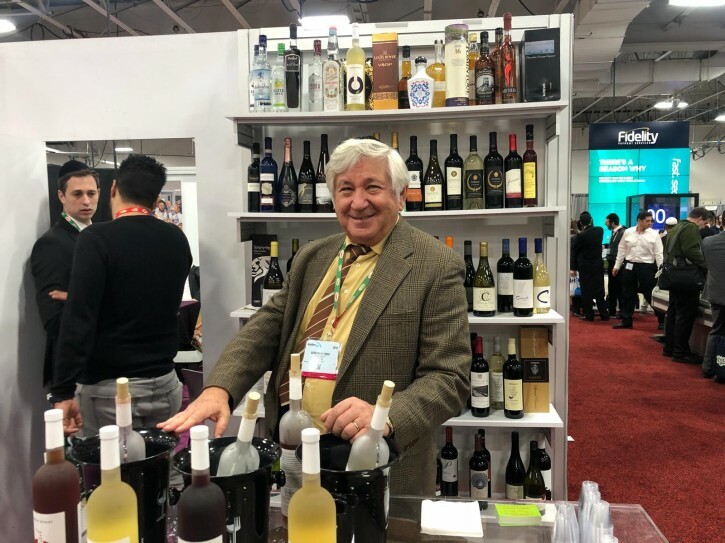 Gershon Bodner - Morad winery, which is distributed by Kedem. 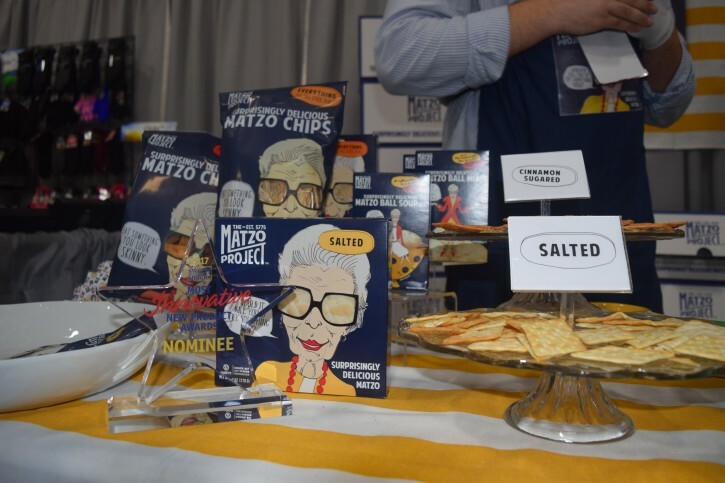 Photos below credit Sandy Eller.